A combination of three premium-quality products from within the Skin Clear range. 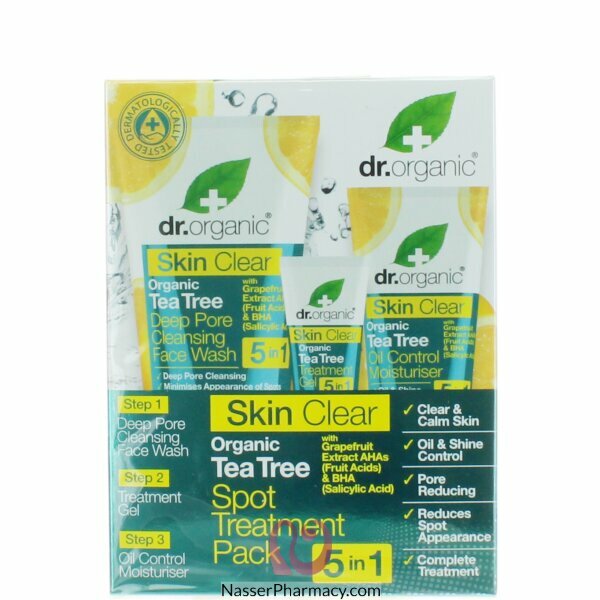 With regular, daily use, this pack can help to exfoliate dead skin cells, calm problematic areas of skin while also visibly reducing pores and redness. This dermatologically-tested pack provides a unique, 3-step treatment to leave the skin feeling invigorated and fresh from a deep-cleansing lift. A purifying, deep cleansing face wash is rich in salicylic acid which assists in the exfoliation of dead skin cells.